Stuck for last-minute Christmas party ideas? From feasts to cocktail parties, we’ve put together a list of ideas to help you celebrate the festive season on the Gold Coast. Host a festive feast with family and friends. Indulge in a banquet menu featuring smoked spice chicken wings, barramundi tacos, and glazed beef ribs. Click here to view our banquet menus. While prawns are classic for Christmas Day, a great Christmas party idea is treating your crew to a top-quality steak! Celebrate your Christmas party on Wednesday and enjoy a wagyu rump cap at the Gold Coast’s favourite steak restaurant. 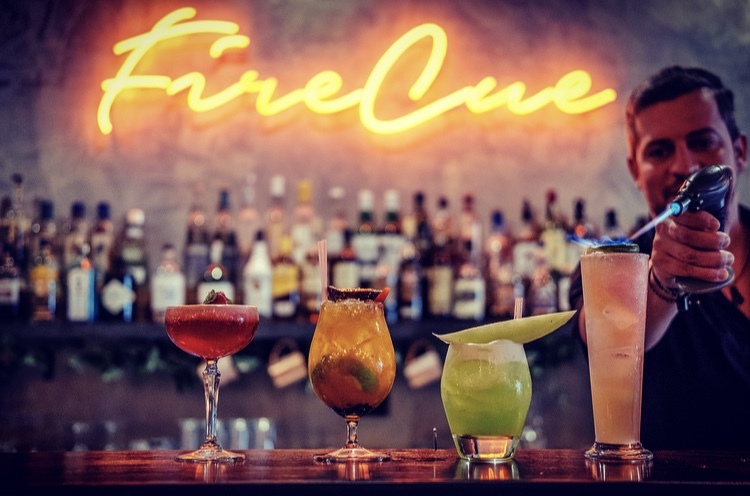 For a Christmas party idea that will have everyone talking, treat your team to Fire Cue’s 24-hour menu. Featuring produce that requires advance notice to order and prepare, like Moreton Bay Bugs and charcoal-grilled tomahawk steaks, this is a premium Christmas party idea that will leave everyone feeling as full as the jolly man himself! For a more casual and lower cost affair, consider a standing cocktail party this Christmas. Indulge in an exotic selection of seasonal canapés, share plates, and finger food, and set up a bar tab for your guests to enjoy the silly season. A fiesta is a fun and lively last-minute Christmas party idea! 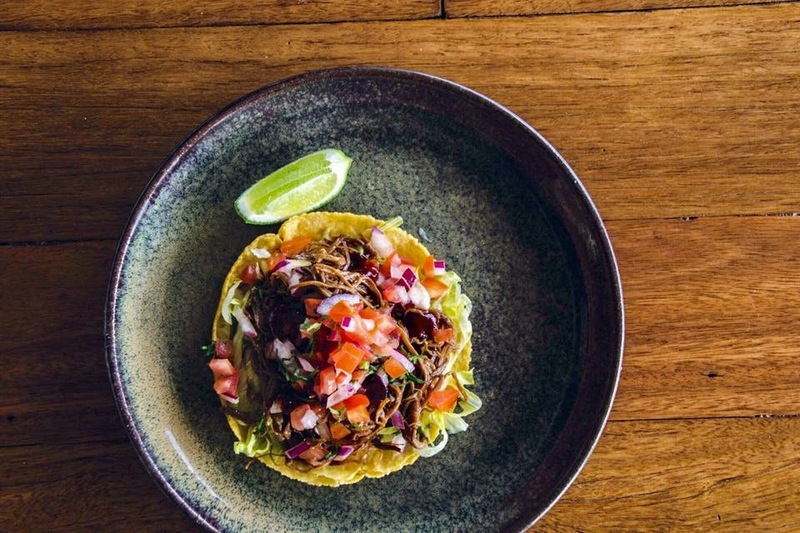 Tuesdays are taco night at Fire Cue, when achiote chicken, braised beef brisket, and battered fish are dished up in hand-pressed tacos for everyone to enjoy. If you’re saving yourself for the seafood smorgasbord on Christmas Day, why not get stuck into ribs as a delicious Christmas party idea? Choose from free range pork or premium beef ribs at Fire Cue on Thursday nights; marinated and slow-cooked before being finished over coals, they’re a real crowd-pleaser for a tasty Christmas party. Start Planning Your Christmas Party Now!